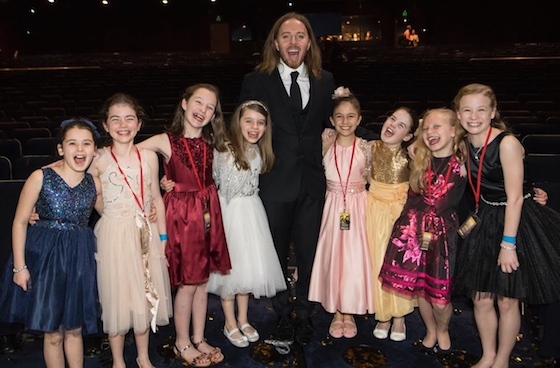 Tim Minchin · Last night Matilda The Musical Australia won a record breaking THIRTEEN Helpmann Awards! Last night Matilda The Musical Australia won a record breaking THIRTEEN Helpmann Awards! Last night, the glittering 2016 Helpmann Awards ceremony was held at Sydney’s Lyric theatre. It was an extraordinary evening for an extraordinary show. Having been nominated for 13 Helpmann Awards, the Australian production of the Royal Shakespeare Company’s Matilda The Musical converted them into a record breaking 13 wins, including Best Musical! 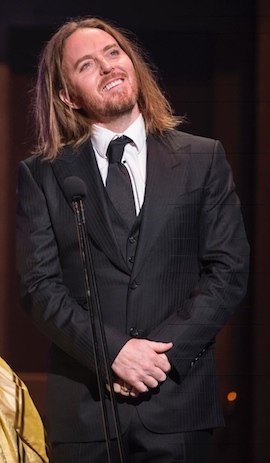 Tim won Best Original Score in a Musical for his music and lyrics, while Best Female Actor in a Musical went to the eight Australian Matildas who have shared the role of the eponymous hero in Sydney and Melbourne: Molly Barwick, Dusty Bursill, Tiana Mirra, Alannah Parfett, Sasha Rose, Georgia Taplin, Bella Thomas and Ingrid Torelli. James Millar scooped Best Male Actor in a Musical with Matthew Warchus winning Best Direction of a Musical. Congratulations to all at Matilda The Musical Australia! I came in blind when I went to see ‘Matilda’ at the start of the month. I hadn’t read the book or seen the movie. I’m so happy that all those involved in this musical are getting recognised for their talent. I was moved so much as a spectator that I was pretty much balling at the end of it. F*kn loved it! This was my first Musical and I must say it didn’t dissappoint. It was wonderfully entertaining from the start to finish. Some very talented young aspiring actresses and actors. Well done to you all! You must be congratulated on a wonderful show. Well, people on this site knew that Tim was a genius with the music, but after seeing Matilda the Musical in Melbourne in April this year, I could see that many many other geniuses had come to the project to produce something really amazingly fantastic and entertaining. Very glad to see that the rest of Australia agrees with my opinion! Wooo! Congrats to you, and all the little Matildas, and everyone else involved in your amazing show in Australia!